It was fairly loose inspiration to be sure, but the album name called to mind a pineapple margarita, so I went with it. Read on for the recipe, and note that the photographed version is served up, but I recommend it on the rocks! Rim a glass with a combination of paprika, salt and sugar. 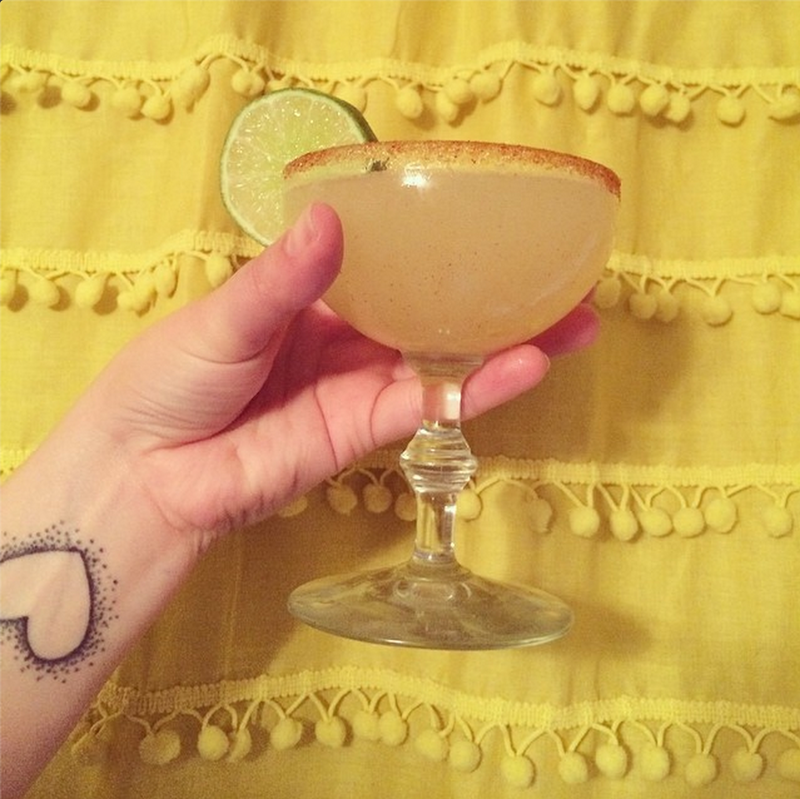 Combine 1.5 oz reposado tequila, 1.5 oz pineapple juice, .5 oz lime juice and .5 oz tripel sec in the glass and stir. Fill with ice and enjoy!